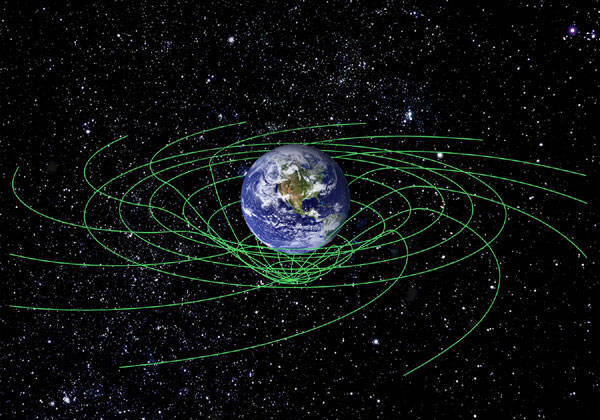 The Theory of the General Relativity came up when Einstein began to wonder what kind of mechanisms stood behind the gravity; Newton's physics could explain how it worked, but not why. Einstein's equations showed that objects with a mass could bend the Space-Time, while other objects “aged” slower as their speed increased. According to the theory, this should be true for the distance as well (objects traveling at near light speed should shorten); however the introduction of Quantum Mechanics and, specifically, of Heisenberg's uncertainty principle, opened a set of totally new scenarios. The Uncertainty Principle states that it is impossible to determine, at the same time, position and momentum of a particle through mere observation as long as we remain outside of the sub-atomic world. The sub-atomic world is in fact a “cosmic region” with its own laws; it includes multiple physical systems in which we are not able to enter by the use of our modern tools, and we can't fully understand its nature; space does not behave in the same way with the small scales (from particle level to the infinitesimally small). The very definition of void, for instance, changes when Quantum Mechanics is involved. Newton thought that the void was a system with nothing inside. With the Quantum Mechanics, a total absence of matter is impossible. The void is read through the wave-particle duality. The void is thought of as a dynamic equilibrium between particles of matter and antimatter in a continuous process of annihilation. Some believed that by keeping Relativity and Quantum Mechanics separated the conflict between the two laws could be avoided. Brian Greene (Professor of Physics at the Columbia University, New York) said that understanding the Universe (which originally was very small and with a huge mass) and the Black Holes presents a serious issue. Presently, mathematics produces values in the infinite when both theories are employed. The collapsing of the uncertainty is not yet understood, even though several hypotheses have been formulated (Parallel Universes, the future affecting the past, the collapsing of the wave function). There are stars that possess enough mass to collapse within themselves, thus forming black holes. 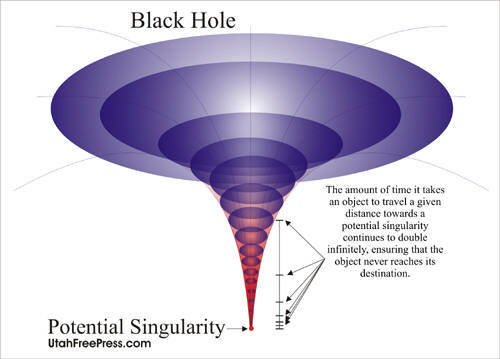 Within the black holes there is a point called “singularity” where the laws of Physics could cease to be. In that point the curvature of the Space-Time becomes endlessly large, and modern science is not capable of predict what could happen in there. Einstein's General Theory of Relativity doesn't determine the effects of the singularity on an object. From this uncertainty some theories stemmed, speculating upon the existence of wormholes leading to other sectors of the universe, or even to different universes. 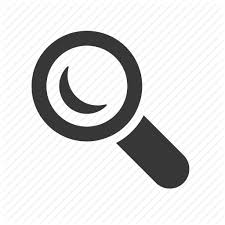 Scientist have discussed about the possibility to use black holes for interstellar travels, but between theory and practice lie unsolved issues; for instance, the enormous pressure of the gravitational force, which would crush any object in transit nearby the dark matter. Other theories have been accepted by contemporary physicists and astronomers: one of them suggests that, given the uncertainty of the singularity, there could be a new set of physical laws beyond it (i.e. the absence or the variation of one of the forces which govern our Universe: Electromagnetism, Gravity, and Nuclear Forces). If that is true, technically we would be looking at another Universe. 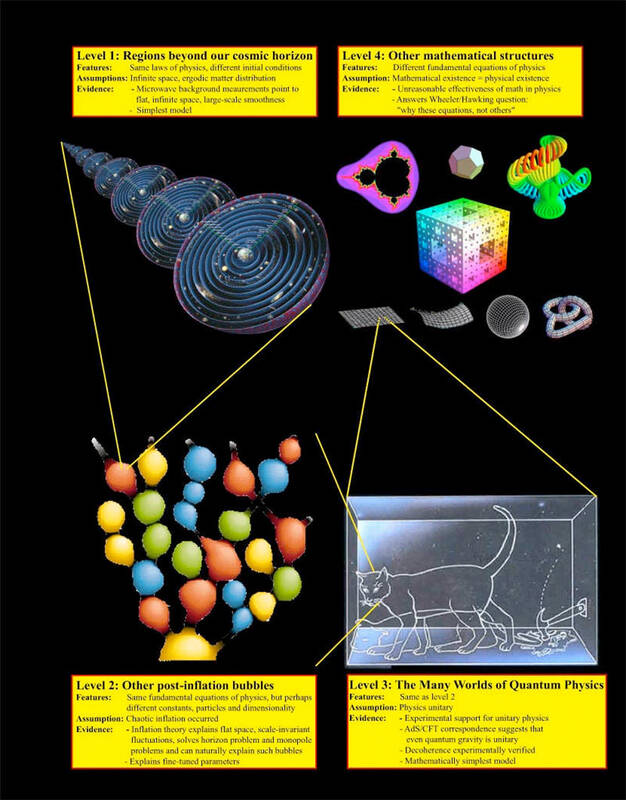 These are the bases for the Theory of the Multiverse or M-Theory, a recently accepted, and seriously studied, theory describing the continuous formation of the universe through the collapsing of giant stars and the formation of black holes. In this process a new singularity would appear and, therefore, a new, possible universe. Sir Martin Reese, a British astronomer, postulated that our Universe could be but just one element – an atom – of an infinite system. Every universe begins with its Big Bang, it acquires its own character (i.e. a set of laws) as it cools off, and draws its own particular cosmic cycle. This hypothesis would put our Universe, from a Multiverse standpoint, in a very little system; at the same time, though, it would open to new scenarios in regards to such concepts as Multiple Universes and Parallel Universes. In his book “The Fabric of Reality”, David Deutsch, a physicist at Oxford, describes the possibility of an interaction with Parallel Universes. 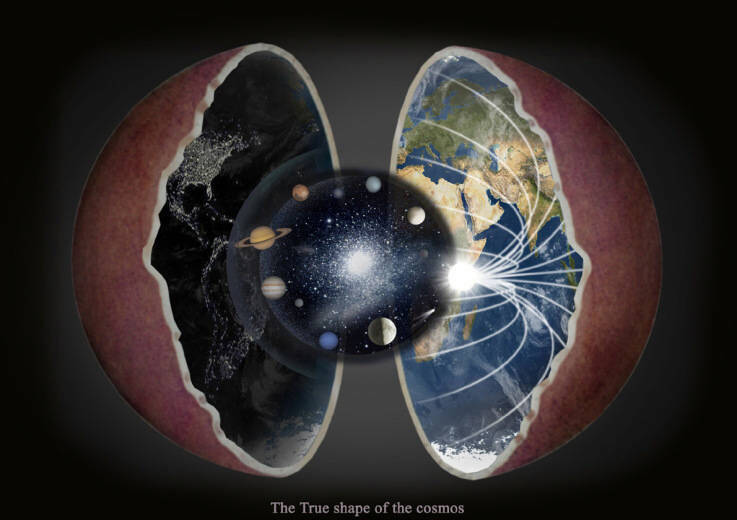 Deutsch suggests that, through a Parallel Universe, a computer could find its “double” located in the other universe, and cooperate with it by exchanging information and expanding knowledge. This is another branch of the M-Theory which has been generally accepted, and is currently under deep scrutiny. The M-Theory per se calls for several implications, regardless the existence of Parallel Universes, the most important of which is the unique and complex process that has brought about the creation of our Universe, and the simplicity by which it could have been completely different. The theory also implies, that our Universe, among the possible millions of billions of universes, is so special to contain life. If only one of our physical law were different, for example, perhaps we could not be able to appreciate the beauty of the world as we do every day. This leads to the most important question: if every universe is born from another universe, where did it all begin? This is where science and spirituality converge, but it is also an embarrassing point for both disciplines. Even today physicists state that there is no room for a Creator in the actual scientific model. It becomes harder and harder, however, not to admit that, with such a set of laws and principles that allows life to exist in our Universe, no creative source is behind all this. The term Multiverse was coined in 1895 by William James, an American philosopher and psychologist. Within the Multiverse, universes called “Parallel Universes” may exist. There are different projections of the Multiverse, whereby each of them defines a specific general structure, the nature of the single universes, and the correlation between them. Multiverses have been proposed in Cosmology, Physics, Astronomy, Religion, Philosophy, Psychology, and Literature.